Albert E. Marion was designated as Chimesmaster in 1958 and held the title until 1994 when he was honored as Chimesmaster Emeritus. It was Marion's dream to have a full 49 bell, full octave bell tower in Altgeld Hall's bell tower ("Carillon Upgrade Project"). As early as 1998 funds were being collected to renovate the Altgeld Hall Bell Tower, though it was deemed not feasible to fit forty nine bells in a tower that currently holds fifteen (Smith 2008). 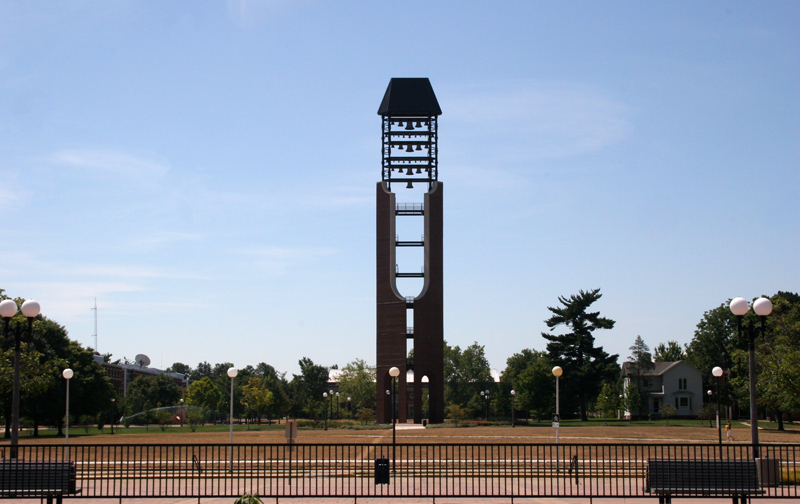 A plan then developed to create a freestanding carillon which would be located on the South Quad near the ACES Building, though a freestanding tower was included in the campus plan as far back as 1913 ("University Campanile"). 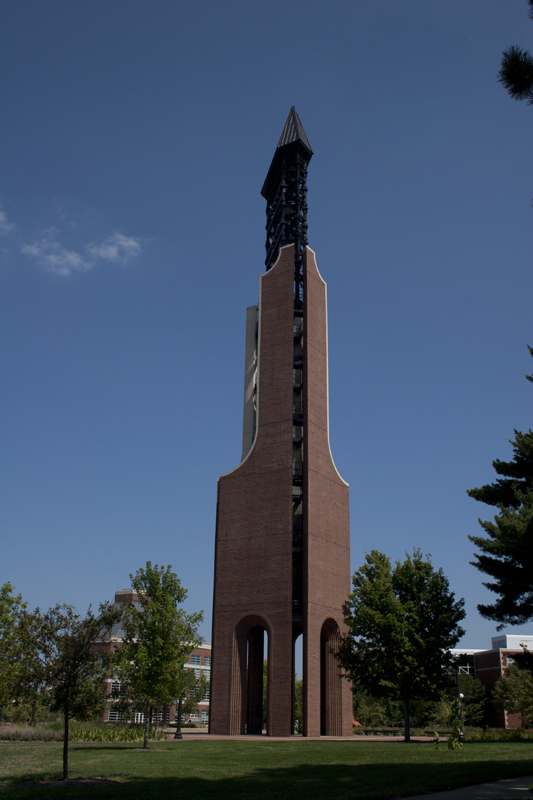 The first bell purchased for the new bell tower was the F-natural, dedicated to Albert E. Marion in recognition of his many years of service as University Chimesmaster. 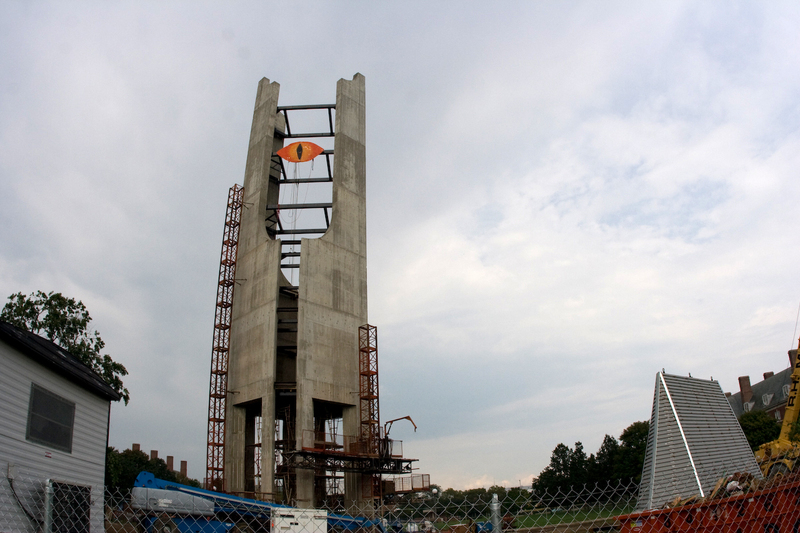 The total cost for all of the bells would come out to almost $550,000 ("Carillon Upgrade Project"). The bells were cast in the Netherlands and transported to Champaign. Currently, the bells are played via a remote computer chip programmed with 500 songs. The bells can also be played by keyboard, and with the proper funding in the future, by hand (Smith 2008). 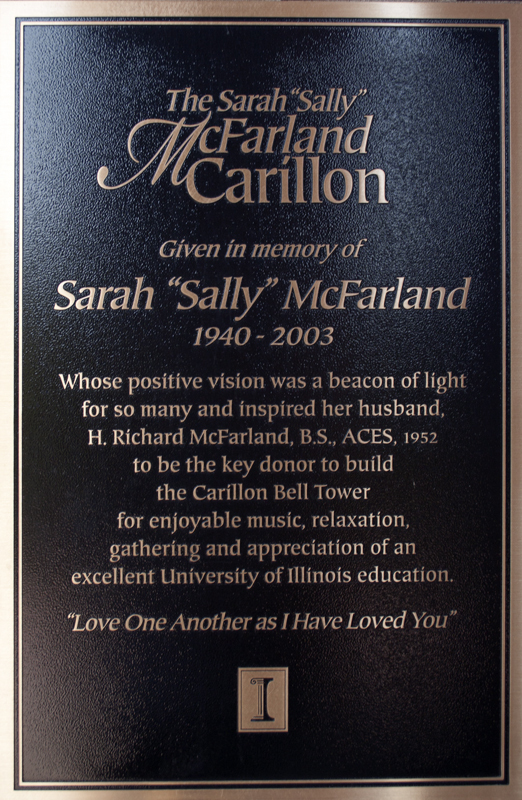 The McFarland Bell Tower is named for Sarah "Sally" McFarland. She and her husband, H. Richard McFarland, wished to donate funding for the creation of a Presbyterian Church on campus. When those plans fell through, and Sally died of ovarian cancer in 2003, H. Richard McFarland donated 1.5 million to the bell tower project in his wife's name (Smith 2008). On Septermber 20th, 2008, a group of pranksters added a replica of the "Eye of Sauron" to the tower, from J.R.R. Tolkien's Lord of the Rings (U of I wiki 2011). 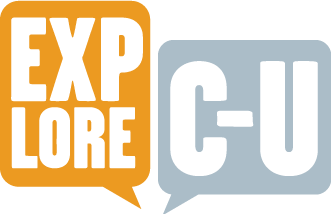 “McFarland Bell Tower,” ExploreCU, accessed April 21, 2019, https://explorecu.org/items/show/178.